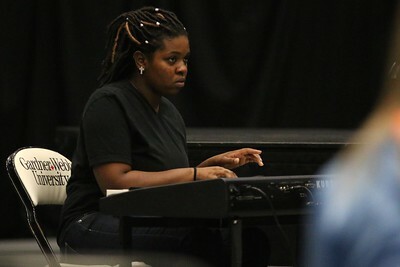 Heaven Watson-Weary playing keyboard for the gospel choirs version of Glory from the movie Selma. 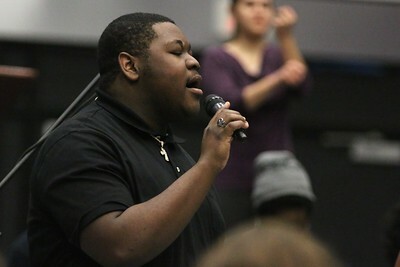 Davon singing Glory from the movie Selma for the gospel choir. 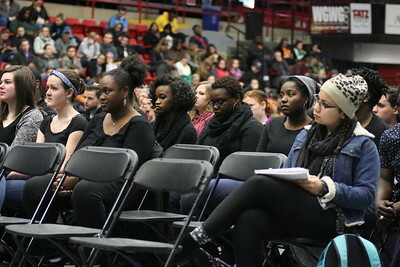 Students listening to Dr. Albert Brinson at dimensions. 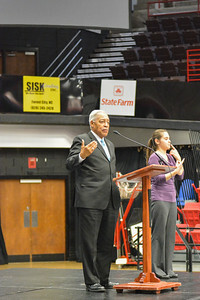 Dr. Albert Brinson speaking on Dr. Martin Luther King Jr.'s life. 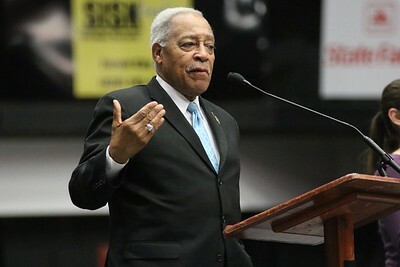 Dr. Albert Brinson speaking at dimensions on January 19th 2016. 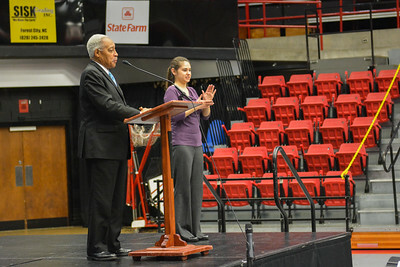 Dr. Albert Brinson talking to students about Dr. Martin Luther King Jr.'s Legacy. 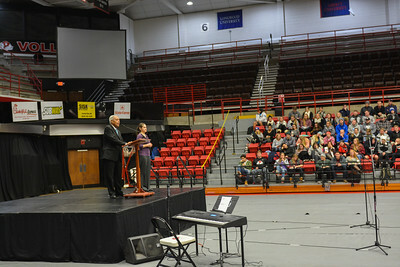 Dr. Albert Brinson speaking to students and faculty. 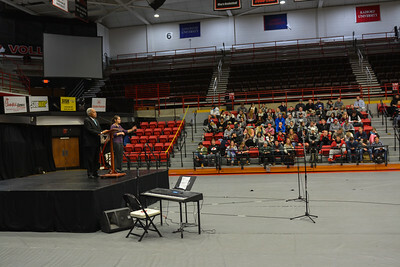 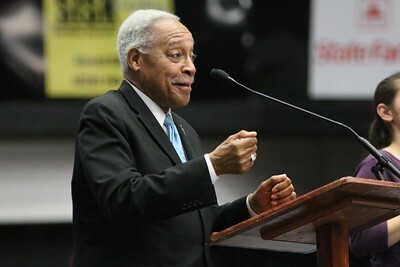 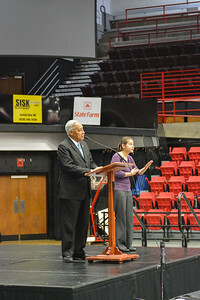 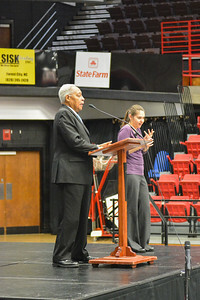 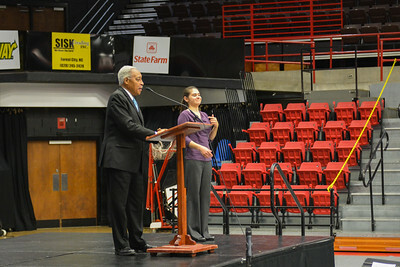 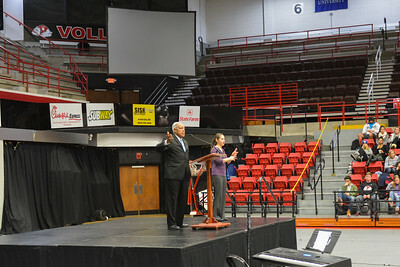 Dr. Albert Brinson speaking at Gardner-Webb. 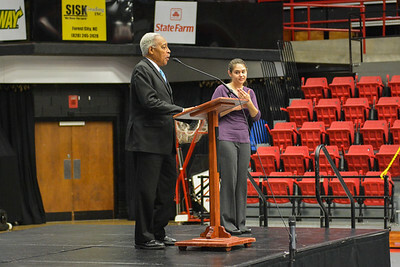 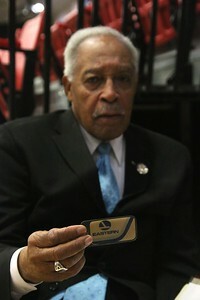 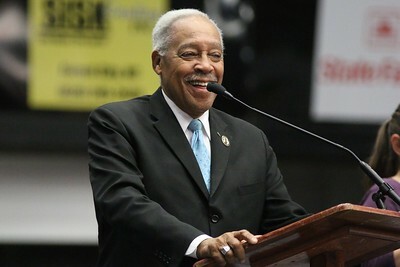 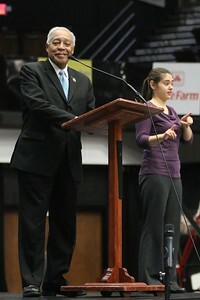 Dr. Albert Brinson in Paul Porter arena. 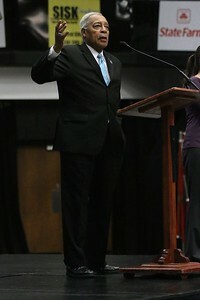 Dr, Albert Brinson speaking on January 19th 2016. 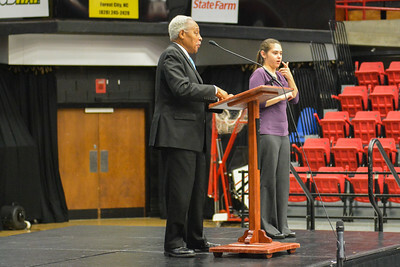 Students listening to Dr. Albert Brinson. 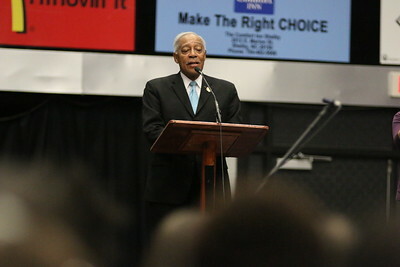 Dr. Albert Brinson speaking at dimensions. 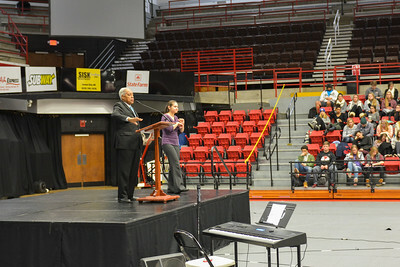 Gardner-Webb students watching Dr. Albert Brinson. 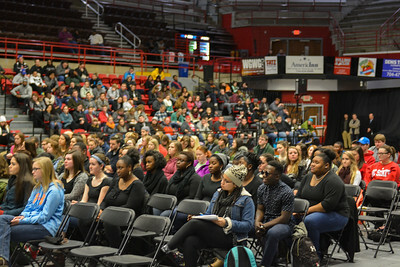 Students listening to Dr. Albert Brinson speak. 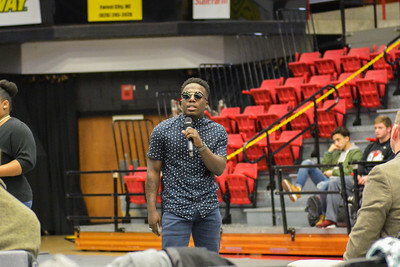 Darius, GWU Freshman, led the Gospel Choir in the song "Glory" from the famous movie Selma before Dr. Albert Brinson spoke at Dimensions. 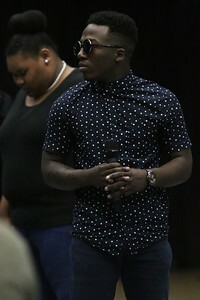 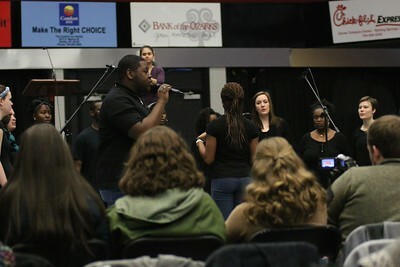 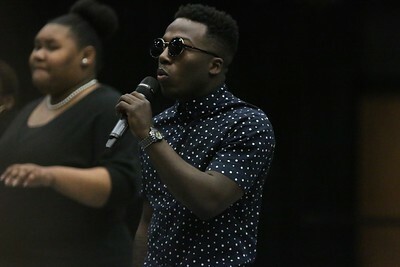 Davon, GWU Sophomore, rapped along with the Gardner-Webb gospel choir at Dimensions. 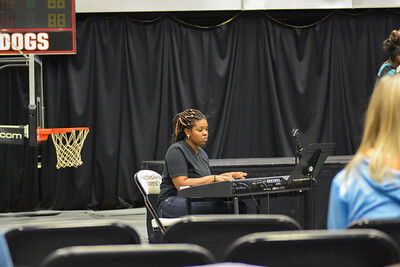 Heaven, GWU Senior, accompanied the Gospel Choir by playing the keyboard. 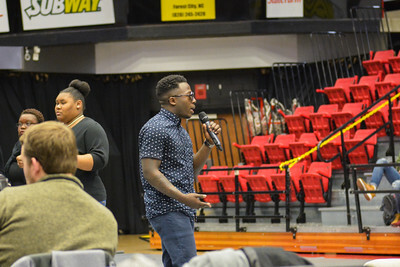 The Gospel Choir started off the Tuesday morning Dimensions by performing the song "Glory" from the award winning movie, Selma, about the life and legacy of Dr. Martin Luther King Jr.
Dr. Albert Brinson, close friend of Dr. Martin Luther King Jr., came and spoke to the students of Gardner-Webb on Tuesday, January 19th during their weekly Dimensions. 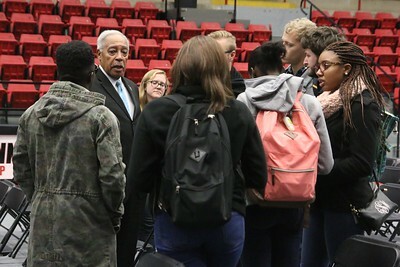 Dr. Albert Brinson, shared a beautiful message of personal experiences and encouragement to all the students who attended Dimensions on Tuesday, January 19th. The Gospel Choir, along with hundreds of other GWU students and faculty members, sat and listened to Dr. Albert Brinson during Dimensions after their performance. 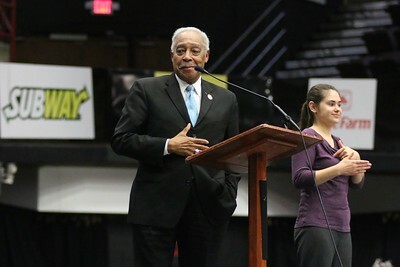 Many students stayed after Dimensions to meet and speak with Dr. Albert Brinson. 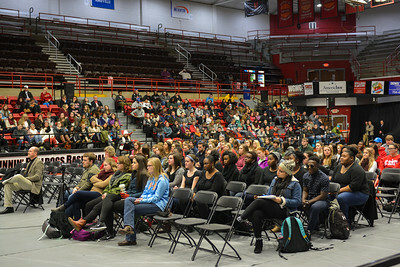 Some students stayed for an hour waiting to speak with him. 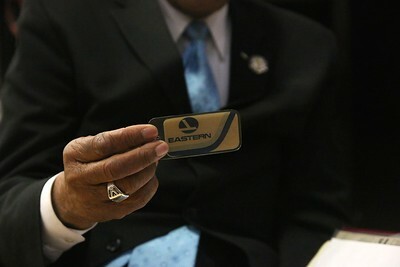 Dr. Albert Brinson tells GWU-Today writer, Chelsea Sydnor, about his experience working with Eastern Airlines in his younger days.